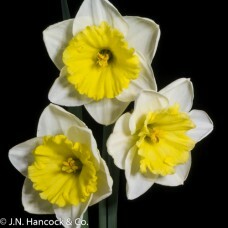 Flower with flatened that covers over the petals. 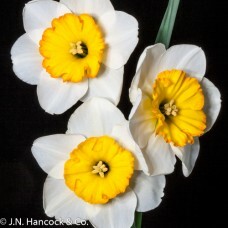 Eye-catching flower with large creamy-white petals and open frilled, flat-cup, opening lemon-primros..
A flashy bloom, spreading lemon-yellow perianth surround a bright red-orange open cup with a frilled..
Neat decorative flower. 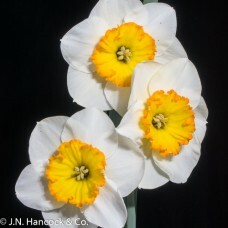 The spreading white perianth surrounds an open bowl-shaped flat corona of le..
A wonderful garden flower with a large round primrose-yellow perianth and huge golden-yellow flat co.. 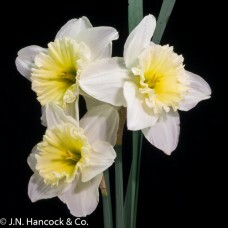 Huge decorative bloom. 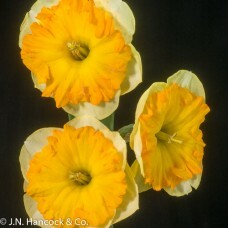 The prominent, flat orange-yellow crown is heavily ruffled and frilled at the.. 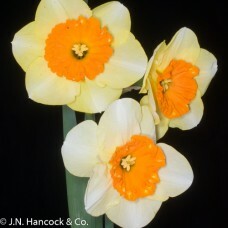 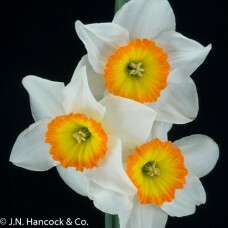 Striking large flower; the wide flat yellow corona is edged with orange and almost covers the white ..
A unique decorative flower. 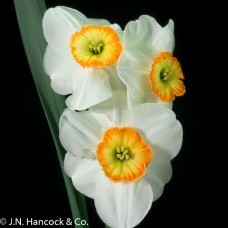 The glistening, pure-white petals contrast with the large flat pleated c.. 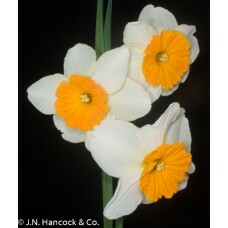 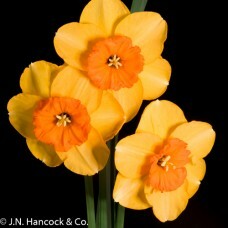 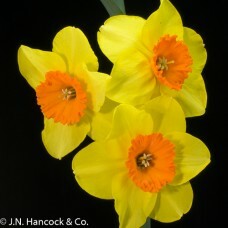 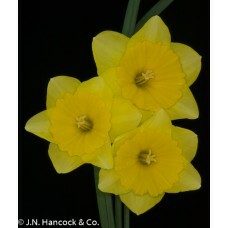 Huge eye-catching bloom; prominent open expanded golden-yellow corona, round glistening-yellow pe.. 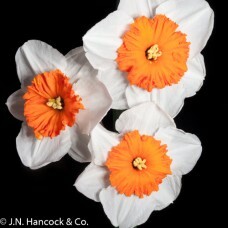 Distinctive flower with white petals and an expanded frilled cup that matures to an unusual yellow-b..
Large striking bloom; the beautiful, very flat pleated crown of rich, creamy-orange is fluted on the..
Strong flat-cupped flower. 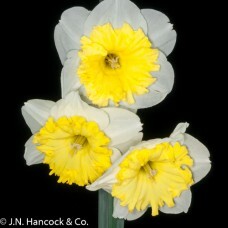 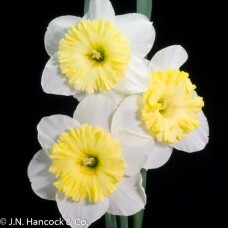 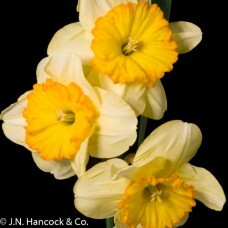 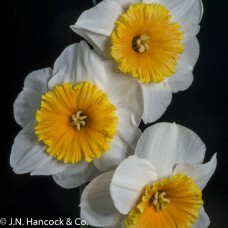 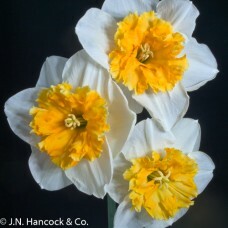 Ice-white petals with a expanded ribbed cup of yellow, neatly edged with .. 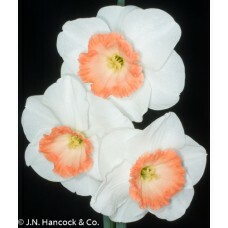 Elegant, appealing large bloom; open flat, ruffled crown of intense deep pink with a soft pink centr..
Imposing serrated crown of deep apricot-orange lies flat against the well-formed petals that mature ..
A huge flower with creamy-white petals and an imposing, open yellow cup with a distinctive broad or..
A striking decorative variety. 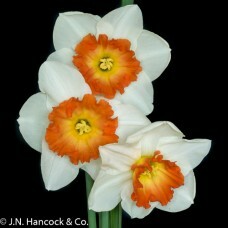 The enormous flat, tangerine-orange corona is frilled and fluted and ..